Oh. Uh… cool I guess. I’ll admit, I have completely missed the boat on the battle royal genre. I’ve played a few matches of PUBG both on mobile and on XBO and didn’t really get it, and my time with Fortnite predates its shift to being a BR game (remember it was a base building co-op zombie shooter at launch?). Even so, it’s impossible to deny what a giant the genre has become. Every generation has it, an exciting new genre that simply dominates the headlines and sales for years, creating countless clones and pretenders to the crown. 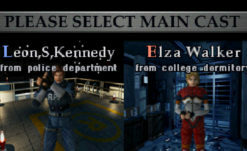 RE had quite a few when it rained as king (to the point it was shameless and blatant), GTA had years of crap Stealy Wheely Automobeely type games, and Call of Duty so thoroughly dominated last gen that even established non-action games (Resident Evil among them) tried to ape its success. Battle royal seems to be coming to everything in one way or another (I fully expect a BR mode in Halo: Infinite and Gears 5), but in many ways, other things are coming to battle royal, too. We’ve seen Marvel’s Thanos appear in a special mode for Fortnite, and recently PUBG got a Suicide Squad promotion where you could equip your character with Harley Quinn and Joker costumes from the movie. 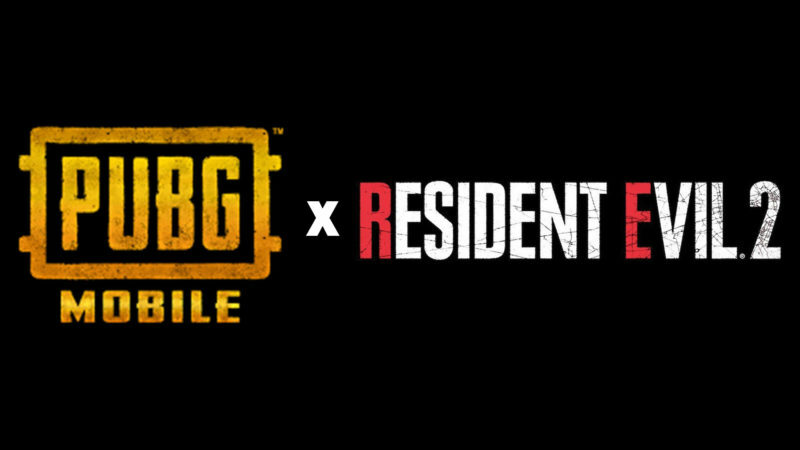 Looks like PUBG got another guest license, as they’ve just announced a crossover deal with none other than Resident Evil 2 REmake for PUBG Mobile. There’s no information at the moment outside of the announcement Tweet, but I don’t think it’s crazy to assume there will be a reveal trailer at this Thursday’s Game Awards. 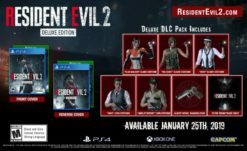 Odds are more than likely that we’ll be seeing Leon and Claire’s outfits coming for your PUBG avatar, based on the new REmake 2 versions of them. Of course, a fanboy dream would be a Raccoon City map to explore, complete with RPD station, but that’s a cubic buttload of work – not to mention PUBG is famously cobbled together with store-bought assets. While it’s easy to sneer at the deal, as BR games have officially entered the “cool to hate on” territory, I think it’s a little silly to be down on it. PUBG is dominating the market in a way few other games are able, and the cross-over with REmake 2 could bring it to the attention a whole generation of gamers who wouldn’t normally care. It’s pretty cool, and I know that if I was a PUBG fan I’d probably go bananas over the idea. We’ll post more information when it becomes available.